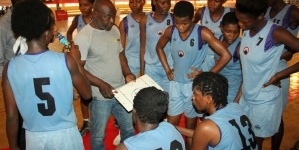 The leadership of the Nigeria Basketball Federation has unequivocally stated that the planned 2019 Annual General Meeting of the Federation slated for Saturday in Abuja will go on as planned. According to a media release by the federation, the clarification came on the backdrop of stories making rounds on social media and published by some national dailies on Monday about the possible postponement of the AGM due to a court ruling filed by the League Management Board. 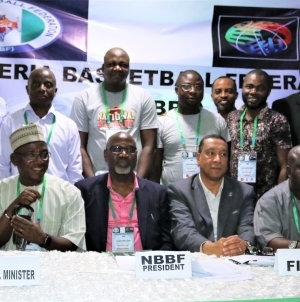 The press release stated that the NBBF President, Musa Kida described it as the last attempt by “drowning men” to confuse enthusiastic stakeholders ahead of the landmark event. 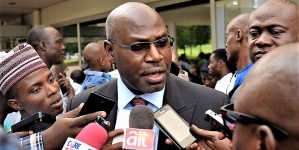 Kida wondered how Josiah O. Daniel-Ebune, counsel to the litigant body that is not recognized by the NBBF could be referring to another case which the body he is claiming to represent is not connected to in any way. “It definitely shows that some people whose aim is to disrupt basketball growth in Nigeria for their selfish reasons have now joined forces and are working together to distract our board by creating artificial crisis”. He stressed that if a fictitious body not recognized by any law or statute under the NBBF can go about waving an exparte order around, then anybody can rise up one day and challenge the existence of NBBF as the apex basketball body in Nigeria. Kida noted that the Federation of International Basketball Associations with appropriate measures to be applied at the right time is documenting all the activities of these shenanigans. Ahead of the AGM and Stakeholders meeting, Kida said the NBBF has duly notified all relevant law enforcement apparatus as law-abiding citizens to forestall any break down of law and order. He advised the media who he described as the Federation’s partners in progress to always verify their reports and stay clear of sensationalism, which has continued to affect basketball in Nigeria.